CALLING NCR and REGION 4 MEMBERS of the NATIONAL FEDERATION OF JUNIOR PHILIPPINE INSTITUTE OF ACCOUNTANTS (NFJPIA)... It's that time of the year again! 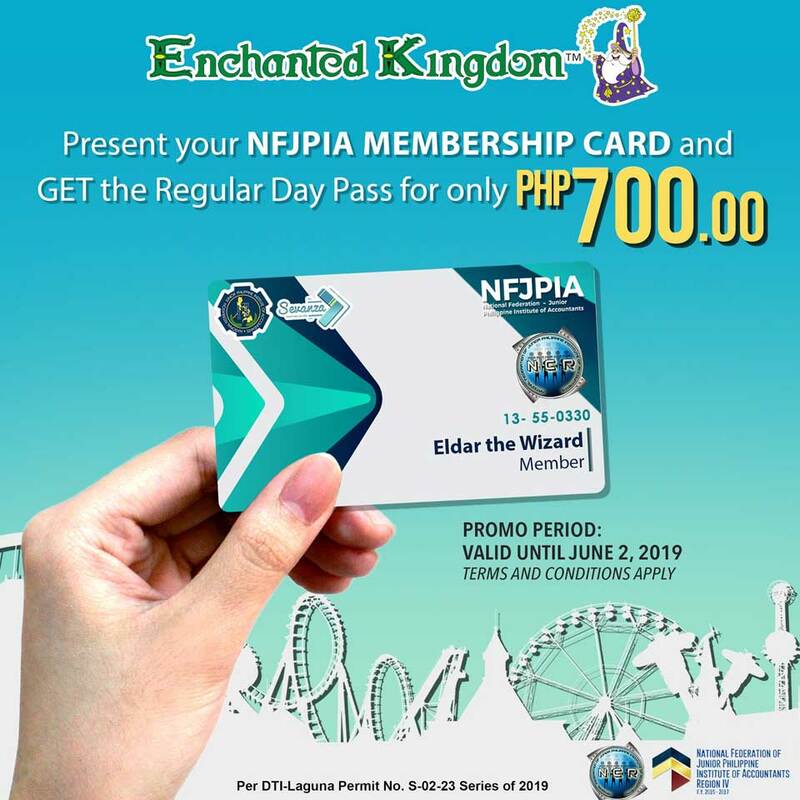 Upon presentation of your NFJPIA membership ID, you get to enjoy the magic of Enchanted Kingdom for ONLY PHP700!! Open to NCR and REGION 4 NFJPIA MEMBERS upon presentation of their valid NFJPIA membership ID. 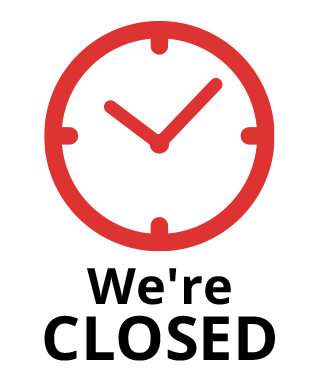 Maximum of two (2) tickets may be availed per ID/day. 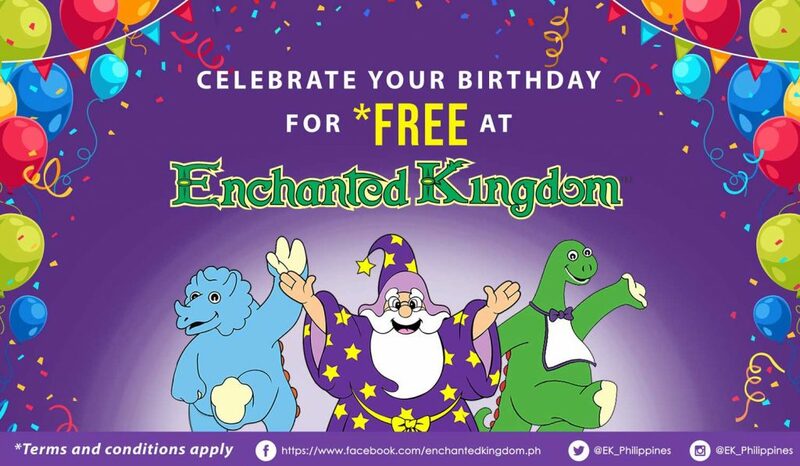 Promo is available at our Front Gate, Agila the EKsperience ticket booths and Group Sales Office in Sta. Rosa, Laguna as well as at out Makati Sales Office.